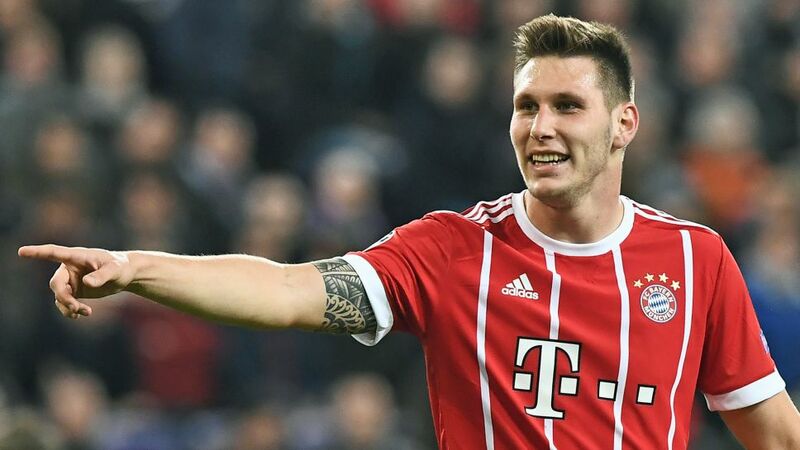 Faced with the prospect of playing against the side he represented for seven years, Niklas Süle says he is "definitely ready" to line out for Bayern Munich against former club Hoffenheim on Saturday. Things have been advancing at exceptional speed for the giant defender since he accepted an offer to make Bavaria his home last summer. Joining the defending Bundesliga champions as a then 21-year-old, things were expected to take time, a bedding in period negotiated, a learning process under defensive mainstays considered a given. Yet Süle has taken the fast track, the Frankfurt native featuring in 23 of Bayern Munich's 29 games so far this season, even making an astonishing 18 starts. Watch: Süle part of Germany's coming golden generation! "It's gone much better than I imagined. I'm very proud of having played so much and having the confidence of the coach and the club," the German international said in quotes featured on Bayern's official website. "I told him he has huge potential that I want to exploit; we understand each other," Bayern head coach Jupp Heynckes added. “He is not on a par [with Mats Hummels or Jerome Boateng] just yet, but those two must be wary, Süle is great and will make his way up there." No doubt profiting from the absences through injury of Boateng and Hummels – the latter feeling the effects of a virus of late – and Heynckes' preference to play Javi Martinez in midfield as opposed to central defence, Süle is nonetheless taking full advantage of his many opportunities this term. Having worked on his diet and stuck religiously to the teachings of his coach during each training session, hard graft and the close company of some of the world's best players are reaping big benefits for a player who seems certain to travel to this summer's FIFA 2018 World Cup finals with Germany. "The level of training sessions [at Bayern] is just incredible," Süle said. "If you haven't slept well or you don't feel so good then you quickly get found out; you have to prepare for training like you do for a game." A FIFA Confederations Cup winner with Germany in July, the 22-year-old may not yet be the finished article, according to Heynckes, yet the player’s progress over recent seasons has been sensational. After seven goals in 107 Bundesliga appearances for Hoffenheim, Süle bade farewell to the Sinsheimers having been voted into the Bundesliga Team of the Season at the end of his final campaign with the club. His impact at Bayern was immediate, with the one time Eintracht Frankfurt and Darmstadt youth-teamer scoring on his debut at the Allianz Arena with a goal set up by fellow former Hoffemheim teammate Sebastian Rudy. To this day, however, Süle hasn’t forgotten his roots. "I have a lot to thank [Hoffenheim] for as they were the club that brought me through the ranks to become a professional," he explained. "I'm looking forward to meeting old teammates and having a chat with them after the game; of course it’s going to be special. [However], I'll put all that to one side and focus on the game," the 6' 5" colossus continued. Süle has missed very few games for the Bundesliga leaders this season, yet one he may secretly have been content to avoid was the corresponding fixture against his old side, Julian Nagelsmann's charges running out 2-0 winners in the Matchday 3 fixture at the WIRSOLRhein-Neckar-Arena. Having garnered a huge amount of experience wearing the red of Bayern since then, however, Süle insisted he would be "really happy if I can play," this time around, even declaring, "I’m definitely ready for it."